Hon. H. Bains: In the gallery today are 12 members of the CUPE Local 50. They are here to celebrate their 100 years of representing working people. Local 50 started with 55 members in 1918, and they have grown to 1,100 members today. 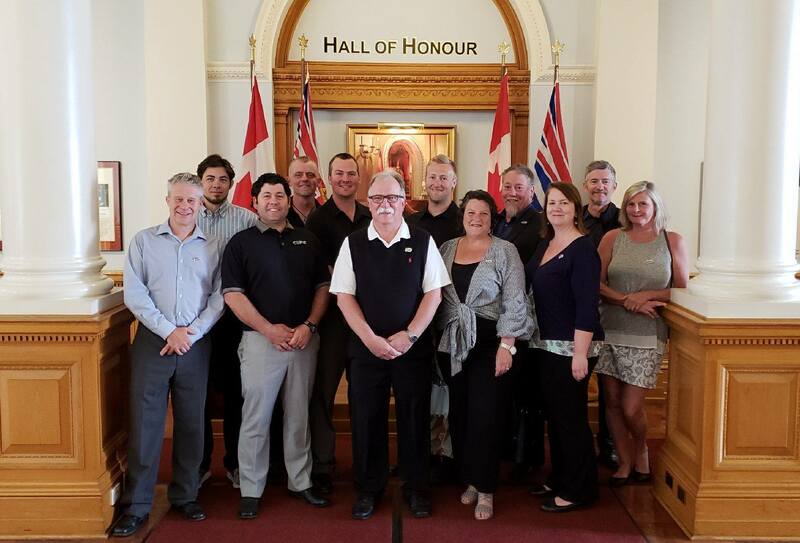 They represent workers in the city of Victoria, United Way of Greater Victoria, BC SPCA, Royal Oak Burial Park, Gorge Vale Golf Club, Victoria police department, the city of Langford and the Downtown Victoria Business Association. Please help me welcome president John Burrows, V.P. Kyle McMorran, Dan MacBeth, treasurer Carolyn Bradey, recording secretary Matthew McKay and executive members Ryan Rutledge, Christina Ewing, Mark Gignac, Shawn Valgardson, Mairi Britton, Devon Cownden and Paul Knight. I say congratulations on your 100 years of a strong and a very good representation of the working people, making their lives better. So thank you, and congratulations to all of you. Hon. R. Fleming: I also want to echo the Minister of Labour in commenting on and commemorating the century of labour that CUPE Local 50 represents in greater Victoria, a fascinating period of time in terms of their achievement as a union movement in this region, and I’d join in welcoming them to the House this morning. © 2019 CUPE Local 50. 2736 Quadra Street, Victoria B.C.